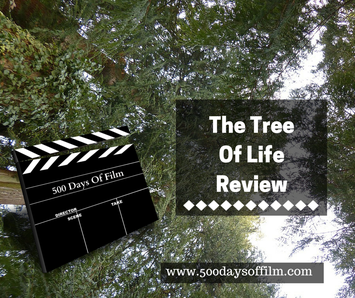 500 Days Of Film Reviews The Tree Of Life And Finds A Beautiful, Visual And Life Changing Movie. In The Tree Of Life, we meet a family living in 1950s Waco, Texas. The mother, Mrs O’Brien (Jessica Chastain) is an ethereal, tactile and loving parent to her three young sons - at times letting them run wild, while at others keeping them close. Their father (Brad Pitt), frustrated with his own life, is far stricter with his children. He believes that they should not speak unless spoken to, wants them to call him 'sir' and believes that they should be more aware of life's struggles. He is particularly tough on his oldest son, Jack, who then struggles with his parents’ conflicting parenting styles. Jack is often angry with both of his parents and acts out as a result - by picking on his younger brothers or participating in dangerous activities. The Tree Of Life also takes us forward to a time where Jack, now a middle-aged architect (played by Sean Penn), is looking back at his childhood and trying to make sense of the tragic event that has befallen the family. We view the film, like the older Jack recalls his childhood memories, with this tragedy in mind. It has taken me a fair while to write the synopsis of this film - it is just really difficult to describe. This is a movie less concerned with plot than with life's experiences and major philosophical questions. It is a film about the intimate experiences of a family in a particular time and place. Meanwhile, it is also about complex concepts such as the meaning of life, the existence of God and how much we matter in the broad scheme of life on this planet. Director Terrence Malick achieves these two aims by producing the most beautiful and stunningly visual movie I think I have ever watched. The shots of the birth of planets and of the wonders of the Earth are just spectacular. In addition, the footage of the three boys and the depiction of their childhood is also stunning. That is not to say that I found this an easy film to watch. I can see why some viewers have found the film slow and pretentious with the whispered questions and seemingly random shots of nature and space. There is a scene at the end (where the characters meet on a beach) that didn’t work for me… I could see it was about letting go and moving on but it all felt a bit obvious. Mainly, however, I just felt happy to let the movie happen to me - I didn’t try too hard to make it fit into a particular genre and I didn’t feel like I wanted to rush to any conclusions. How could there be any considering the philosophical questions that the film is asking? However, by the end I felt that I had experienced something extraordinary - a type of film that I had not experienced before. Not only did the film move me, I believe it has impacted the way I view my own world. Now, every time I feel stressed I think of The Tree Of Life, how life is short and how important it is to appreciate every day. All of the performances are superb in The Tree Of Life, however, I thought that Brad Pitt was particularly brilliant. Yes, this film made me cry... and I also cried when I re-watched the trailer before I included it in this review! When did I become such a big wuss! !